I just replaced cheap 8-bit noname board with the Duet Wifi and seeing strange quality issues (see photo attached). 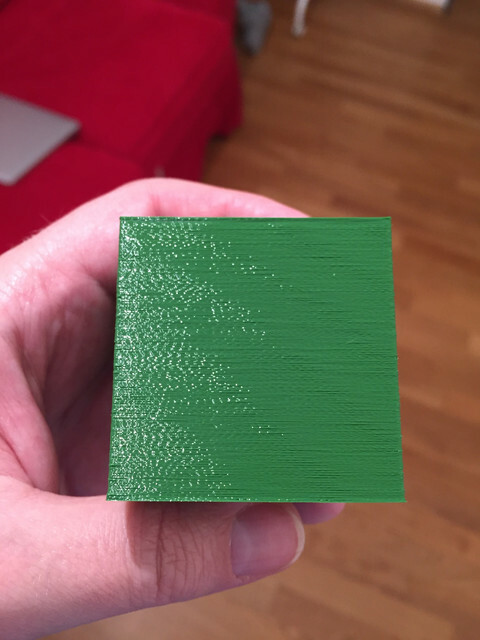 On lower speeds (like 20-30 mm/s) flat vertical surfaces are showing some banding with interleaving diagonal stripes and normal-ish surface. The issue gradually goes away at ~60 mm/s where surface becomes much better. I didn't see such issue with my old board, and I didn't change anything in the physical build, just replaced the board, so shouldn't be a mechanical problem. Jerk, microstepping changes and acceleration do not seem to affect the issue. It is a custom-built delta printer. Duet is running on the latest firmware. What motors are you using, and what currents have you set in the M906 command in config.g.? 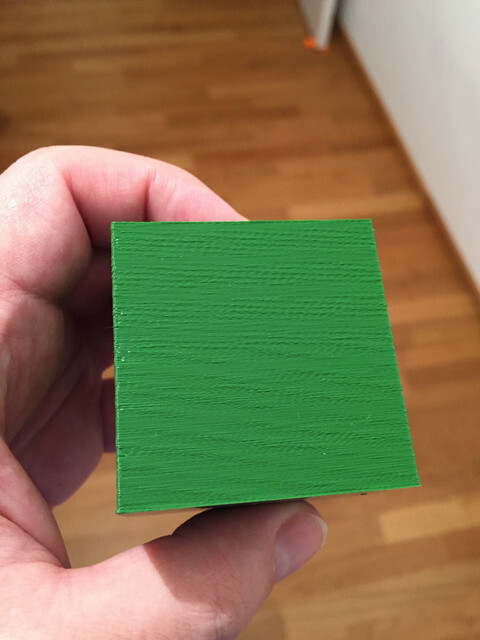 I'm using some noname (Anycubic) 1.8º NEMA17 steppers. Label says they're rated for 1.5A with 4.4mH inductance. M906 sets 1200mA current, and for M350 I've tried 1/16 microstepping (80 steps per mm) and 1/32 (160 step per mm) without any noticeable difference. I'm also using Zesty Nimble extruder without much experience with using it. Checking with Zesty folks in parallel if it is extruder-related. Maybe a temp issue? Looks maybe too hot? 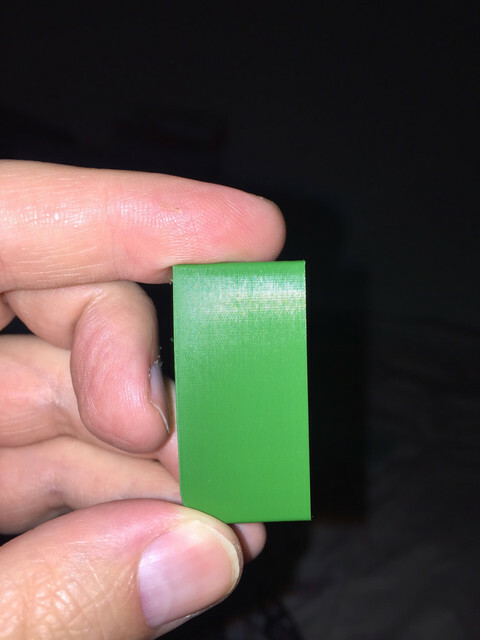 It looks to me like uneven extrusion, because there is a regular horizontal repeat on each layer that isn't lined up between layers. Also I think there is over-extrusion. Did you resolve problem this? It was due to the fault we detected in the cable manufacturing. Our supplier admitted fault and all the cables have been replaced.